Pickled products truly add spice to meals and snacks. The skillful blending of spices, sugar and vinegar with fruits and vegetables creates a crisp, firm texture and a pungent, sweet-sour flavor. Although food markets today offer a wide variety of pickles and relishes, many homemakers like to make their own pickled products when garden vegetables and fresh fruits are in abundant supply. Brined Pickles or Fermented Pickles: These go through a curing process in a brine (salt and water) solution for one or more weeks. Curing changes the color, flavor and texture of the product. If the product is a fermented one, the lactic acid produced during fermentation helps preserve the product. In brined products that are cured but not fermented, acid in the form of vinegar is added later to preserve the food. Fresh Pack or Quick Process Pickles: These are covered with boiling hot vinegar, spices and seasonings. Sometimes, the product may be brined for several hours and then drained before being covered with the pickling liquid. These pickles are easy to prepare and have a tart flavor. Fresh pack or quick pickles have a better flavor if allowed to stand for several weeks after they are sealed in jars. Fruit Pickles: These are prepared from whole or sliced fruits and simmered in a spicy, sweet-sour syrup made with vinegar or lemon juice. Relishes: These are made from chopped fruits and vegetables cooked to desired consistency in a spicy vinegar solution. The level of acidity in a pickled product is as important to safety as it is to taste and texture. Never alter the proportions of vinegar, food or water in a recipe. Use only tested recipes. By doing so, you can help prevent the growth of Clostridium botulinum, the bacteria that produces a highly toxic poison in low acid foods. 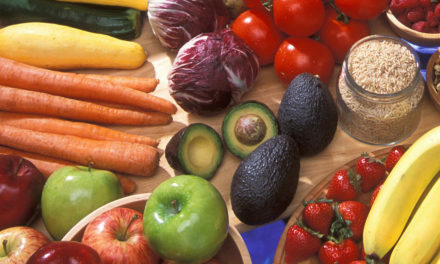 Produce: Select tender vegetables and firm fruit. Pears and peaches may be slightly underripe for pickling. Always use a pickling variety of cucumbers. Do not expect good quality pickles if you use “table” or “slicing” cucumbers. Seed catalogs are a good source of information about cucumber varieties suitable for pickling. If you buy cucumbers, select unwaxed ones for pickling whole, because the brine solutions cannot penetrate the wax. Use 1½-inch cucumbers for gherkins; 4-inch for dills. Odd-shaped and more mature cucumbers should be used for relishes and bread-and-butter style pickles. For highest quality, plan to pickle the fruits or vegetables within 24 hours after they have been harvested. If the produce cannot be used immediately, refrigerate it, or spread it where it will be well-ventilated and cool. This is particularly important for cucumbers because they deteriorate rapidly, especially at room temperature. Just before pickling, sort the fruits and vegetables and select the size best suited for the specific recipe. Wash well, especially around the stems. Soil trapped here can be a source of bacteria responsible for the softening of pickles. Be sure to remove a 1/16-inch slice from the blossom end of the vegetables. The blossoms contain enzymes that also can cause softening. Do not use fruits and vegetables that show even slight evidence of mold. Proper processing kills potential spoilage organisms but does not destroy the off-flavor that may have already been produced by mold growth on the fruit or vegetables. Salt: Pure granulated salt, such as “pickling” or “canning” salt should be used. It can be purchased from grocery, hardware or farm supply stores. Other salts contain anti-caking materials that may make the brine cloudy. Do not alter salt concentrations in fermented pickles or sauerkraut. Proper fermentation depends on correct proportions of salt and other ingredients. Vinegar: Use cider or white vinegar of 5-percent acidity (50 grain), the acidity for most commercially bottled vinegars. Cider vinegar has good flavor and aroma, but may darken white or light-colored fruits and vegetables. White distilled vinegar is often used for onions, cauliflower and pears where clear color is desired. Do not use homemade vinegar or vinegar of unknown acidity in pickling. Do not dilute vinegar unless the recipe specifies. If a less sour product is preferred, add sugar rather than dilute the vinegar. Sugar: Use white sugar unless the recipe calls for brown. White sugar gives a product a lighter color, but brown sugar may be preferred for flavor. If you plan to use a sugar substitute, follow recipes developed for these products. Sugar substitutes are not usually recommended, as heat and/or storage may alter their flavor. Also, sugar helps to plump the pickles and keep them firm. Spices: Use fresh whole spices for the best quality and flavor in pickles. Powdered spices may cause the product to darken and become cloudy. Pickles will darken less if you tie whole spices loosely in a clean white cloth or cheesecloth bag and then remove the bag from the product before packing the jars. Spices deteriorate and quickly lose their pungency in heat and humidity. Therefore, store any unused spices in an airtight container in a cool place. Water: When brining pickles, hard water may interfere with the formation of acid and prevent pickles from curing properly. To soften hard water, simply boil it 15 minutes and let set for 24 hours, covered. Remove any scum that appears. Slowly pour water from the containers so the sediment will not be disturbed. Discard the sediment. The water is now ready for use. Distilled water can also be used in pickle making, but is more expensive. Firming Agents: If good-quality ingredients are used and up-to-date methods are followed, lime and alum are not needed for crisp pickles. Soaking cucumbers in ice water for four to five hours prior to pickling is a safer method for making crisp pickles. Another safe option for firming pickles is Pickle Crisp®),a product containing calcium chloride; use according to the manufacturer’s instructions. Alum is no longer recommended and inadequate removal of lime may increase risk of botulism. The calcium in lime does improve pickle firmness. If you choose to use lime, purchase food-grade pickling lime from your grocer’s shelves. Do not use agricultural or burnt lime. Food-grade lime may be used as a lime-water solution for soaking fresh cucumbers 12 to 24 hours before pickling them. However, EXCESS LIME ABSORBED BY THE CUCUMBERS MUST BE REMOVED TO MAKE SAFE PICKLES. To remove excess lime, drain the lime-water solution, rinse and then re-soak the cucumbers in fresh water for one hour. REPEAT THE RINSING AND SOAKING STEPS TWICE MORE. The right equipment prevents pickle failure and saves time and energy. Read each recipe completely to make sure you have the right equipment before you start to make pickled products. Containers & Weights for Fermentation: Pickles and sauerkraut can be fermented in large stoneware crocks, large glass jars or food-grade plastic containers. To determine if a plastic container is food-grade, check the label or contact its manufacturer. Or, line the questionable container with several thicknesses of food-grade plastic bags. Do not use aluminum, copper, brass, galvanized or iron containers for fermenting pickles or sauerkraut. The container needs to be large enough to allow several inches of space between the top of the food and the top of the container. Usually a 1-gallon container is needed for each 5 pounds of fresh vegetables. After the vegetables are placed in the container and covered with brine, they must be completely submerged in the brine. A heavy plate or glass lid that fits down inside the container can be used. If extra weight is needed, a glass jar(s) filled with water and sealed can be set on top of the plate or lid. The vegetables should be covered by 1 to 2 inches of brine. Another option for submerging the vegetables in brine is to place one food-grade plastic bag inside another and fill the inside bag with some of the pickling brine, in case the bags are accidentally punctured. Freezer bags sold for packaging turkeys are the right size for 5-gallon containers. Close the end securely. Then use this filled bag as the weight on top of the vegetables. Filling the bag with brine is a precaution, in case the bags are accidentally punctured. Equipment for Fresh Pack Pickles: Pickling liquids should be heated in a stainless steel, aluminum, glass or unchipped enamelware saucepan. Do not use copper, brass, galvanized or iron utensils. These metals can react with acids or salts and cause undesirable color changes in the pickles. For short-term brining or soaking, use crocks, saucepans or bowls made from stoneware, glass, stainless steel, aluminum or unchipped enamelware. Except for the aluminum, the same containers can be used for soaking vegetables in lime. Lime pits aluminum containers and can cause an increased level of aluminum in the pickles. Household Scales: Household scales will be needed if the recipes specify ingredients by weight. They are necessary in making sauerkraut to ensure correct proportions of salt and shredded cabbage. Processing Equipment: A boiling water bath canner is needed for processing pickles that will be stored at room temperature. Processing is necessary for all pickles and relishes to destroy the yeasts, molds and bacteria that may cause the product to spoil and also to inactivate enzymes that could affect color, flavor and texture of pickled products. A seal is necessary to prevent other microorganisms from entering the jars. Pickles and relishes are high-acid products. This acid may come from the large amount of added vinegar. In brined or fermented pickles, acid is produced naturally during the fermentation process by lactic acid bacteria. Like other high acid foods, they are processed in a boiling water bath canner. All canning jars should be washed in soapy water, rinsed well and then kept hot. Jars that will be processed for less than 10 minutes in a boiling water bath canner do need to be sterilized by boiling them for 10 minutes before filling. Jars processed in a boiling water bath canner for 10 minutes or more will be sterilized during processing. Use new two-piece lids and follow the manufacturer’s instructions for treating them. Carefully place filled jars onto a rack in the canner containing hot water. The water should be deep enough to cover the jars by at least 1 inch. Cover the canner and bring water to a boil. Start counting processing time as soon as the water begins to boil. Process for the length of time specified in the recipe, keeping the water boiling. If no time is given, process the pickled product for at least 10 minutes. For more information on using a water bath canner, request HGIC 3040, Canning Foods at Home, and HGIC 3020, Home Canning Equipment. Always be on the alert for signs of spoilage. Before opening a jar examine it closely. A bulging lid or leakage may mean the contents are spoiled. When a jar is opened, look for other signs of spoilage such as spurting liquid, disagreeable odor, change in color or unusual softness, and mushiness or slipperiness of product. If there is even the slightest indication of spoilage, do not taste the contents. Dispose of the food so that it cannot be eaten by humans or animals. Can I use flaked salt for pickling? Most recipes call for granulated pickling or canning salt. Flake salt varies in density and is not recommended. When making quick process pickles, can I store any leftover pickling solution for future use? If the pickling solution is fresh and has not been used to make pickles, cover it and store in the refrigerator for later use. If the pickling solution has been used, store in the refrigerator and reuse in a day or two for barbecue sauce, coleslaw dressing or a marinade. If mold growth occurs, throw it out. Why did the liquid in my dill pickles turn pink? Using over-mature dill may cause this. If so, the product is still safe. However, yeast growth could also cause this. If yeast growth is evident, discard the pickles. Can I use burpless cucumbers for pickling? Burpless cucumbers are not recommended for use in fermented pickles. This is because at their normal mature size, they produce an enzyme that causes the pickles to soften during fermentation. However, if smaller burpless cucumbers (those with small seed) are used, they may be suitable for making fresh pack pickles. I have an old recipe that calls for adding a grape leaf to each jar of pickles. Why? Grape leaves contain a substance that inhibits enzymes that make pickles soft. However, if you remove the blossom end of the cucumbers (the source of undesirable enzymes) you don’t need to add grape leaves. Why did the garlic cloves in my pickles turn green or bluish green? This reaction may be due to iron, tin or aluminum in your cooking pot, water or water pipes reacting with pigments in garlic. Or, the garlic may naturally have more bluish pigment, and it is more evident after pickling. Immature bulbs should be cured two to four weeks at 70 °F. The pickles are safe to eat. Why are my pickles turning cloudy? While fermenting pickles, the brine might become cloudy due to lactic acid bacteria growth during the fermentation. If a noncloudy appearance is desired, a fresh brine can be used to pack the pickles when they are ready for processing. In nonfermented pickles (fresh pack), cloudiness might indicate spoilage. Check the pickles for signs of off-odors and mushiness. If these signs are absent, the pickles are safe to eat. Fillers (anticaking agents) in regular table salt may cause slight cloudiness, so always use pickling salt. My favorite pickle recipe is from my grand-mother and does not call for a boiling water bath process. Do I really need to process pickles? Processing is necessary for all pickles and relishes to destroy the yeasts, molds and bacteria that may cause the product to spoil and also to inactivate enzymes that could affect color, flavor and texture of the pickled product. Process pickled products for the length of time specified in the recipe. If no time is given, process the product for at least 10 minutes. My neighbor gave me some pickles he made by just pouring vinegar over fresh cucumbers. Are they safe? 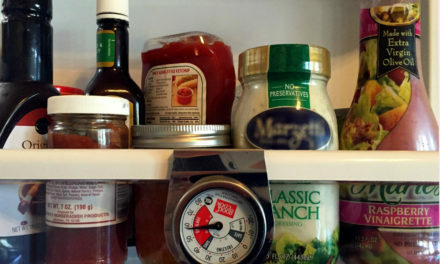 Cucumbers, hot peppers, hard-cooked eggs and horseradish can be put in sterilized jars, covered with hot vinegar, and stored in the refrigerator. To ensure safety, jars and lids must be sterilized, only pure 5-percent acidity vinegar must be used, and the product must be stored in the refrigerator. Herbs, like dill, can be added. I have been making some wonderful flavored vinegars. Can these homemade vinegars be used to make pickles? Save the homemade or flavored vinegars for things like salads. When making pickles, use only commercially produced 5-percent acidity cider or white vinegar. The acidity level of homemade vinegars is unknown and may make the pickles unsafe. 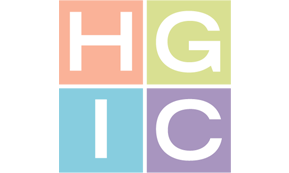 For more information on pickling foods, request HGIC 3420, Pickled Cucumbers; HGIC 3400, Pickled Foods; HGIC 3440, Pickled Peppers; and HGIC 3380, Dill Pickles & Sauerkraut.